Welcome to the JVNP 2.0 Update, featuring a primary JV invite courtesy of fellow JVNP 2.0 Partners Dr Patrick Gentempo, Jeff Hays, Nate Hopkins + Michael Hearne (Money Revealed financial growth & management training launch affiliate program JV invite), Buzz Builders (Fred Lam – Starting From Zero 2nd Edition launch), and More … in Today’s get it, grow it, and keep it edition. 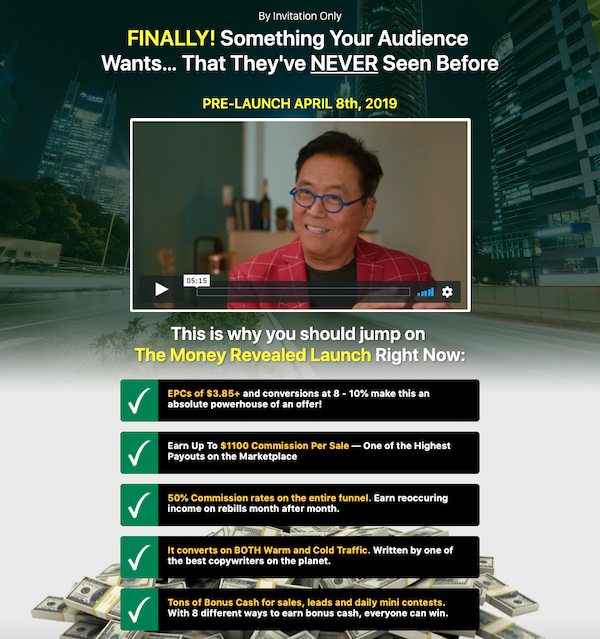 – This is the 1st docu-series on the topic of money… ever. We feel this is going to be the Biggest Financial Promotion of 2019 … can we count on your support? We’re looking forward to helping make this your biggest affiliate pay day of the year.